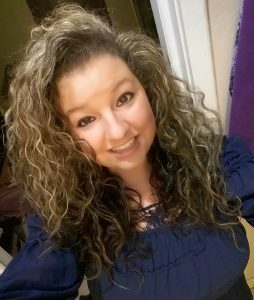 As a preschool teacher at Arkadelphia Head Start, Samantha Crow is now fulfilling what may be her destiny. Crow attended Ouachita High School in Donaldson where she took a class called Occupational Child Care. Crow said she knew she wanted to pursue a child care degree. She thought about P-4 education, but didn’t really want to work with older children. “When I found out about the Child Care Management Program at Henderson State, I automatically knew that’s what I wanted to do,” she said. Crow transferred to Henderson in 2010 after completing her general studies at Ouachita Technical College, and graduated in 2013 with a degree in Child Care Management. Crow began volunteering at the Arkadelphia Head Start before she enrolled at Henderson. She became a substitute teacher in 2010. She was hired as an assistant teacher when she graduated, and was promoted to lead teacher the next year. Crow works with students ages 3-5. She has 17 “bright and spunky” children in her classroom. Every day is a new day with the children, Crow said. If she hadn’t majored in childcare management, Crow said she may have become a veterinarian. “I’ve always had this strong passion for animals. Ever since I was young, animals have been my thing,” she said. “I regularly rescue orphaned babies that have lost their parents and nurse them back to health. I’ve worked with rabbits, squirrels, raccoons and opossums. “Dr. Connie Phelps, Dana Horn and Dr. Patti Miley, being in your classes really molded me into the person and teacher I am today,” she said. • This alumni feature is part of an ongoing project featuring Henderson’s outstanding undergraduate and graduate academic programs.